Chelsea are closing in on agreeing a £5 million-per-year contract with prospective new manager Maurizio Sarri. Though Chelsea are yet to formally part ways with Conte, the decision has now been made to relieve the former Juventus boss of his duties despite him guiding the Stamford Bridge outfit to the Premier League title and FA Cup during his two seasons in charge. 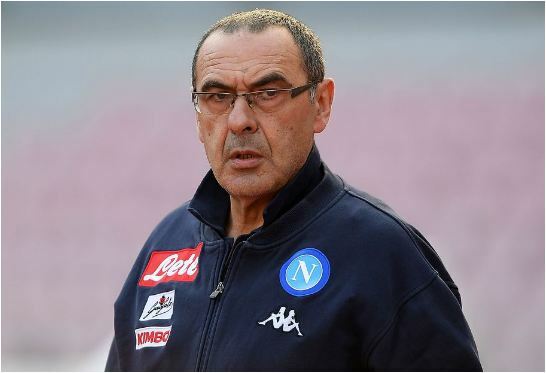 He is set to be replaced by compatriot Sarri in west London, who is set to sign a two-year deal to take his first job outside of his native Italy. The 59-year-old has managed nine sides in total, with the high point of his career coming last season as he guided the Partenopei to a second-place finish despite pushing eventual champions Juventus close for much of the campaign. His preferred passing style has drawn compliments from Pep Guardiola, and Zenit St. Petersburg had hoped they might pip Chelsea to his signature by offering him a huge contract to replace new Italy manager Roberto Mancini. Presuming he takes over, Sarri will have a number of decisions to make regarding the Chelsea squad as he looks to make the necessary improvements required to get the Blues back into the Champions League following their failure to qualify for next season. Alvaro Morata’s future remains in doubt after Inter joined Juventus and AC Milan in the race to sign the Spain striker. Eden Hazard and Thibaut Courtois have also been linked with departures to Real Madrid while squad player Kenedy has drawn interest from the likes of Arsenal, Bayern Munich and RB Leipzig.